Reji Pillai is a renowned expert in the power sector with over 28 years of international experience in the electricity industry. In his current role as head of Energy & Utilities vertical at IBM India/South Asia, he is spearheading the mission for complete transformation of the electricity industry in India through smart grid technologies. Prior to joining IBM he has worked in NTPC and was a consultant with ADB, USAID and World Bank. Every organization has a different definition of sustainability involving different aspects (environmental, social, and labor), how does IBM define sustainability in its business construct? IBM recognizes the commonly used definition of sustainability that was developed by the World Commission on Environment and Development in its 1987 report "Our Common Future’’ - development that meets the needs of the present without compromising the ability of future generations to meet their own needs." With respect to IBM's operations, this definition covers the environmental, social/labor and governance (ESG) aspects of our business. The term we use in IBM to refer to the ESG aspects of our business overall is "Corporate Responsibility" and we produce an annual Corporate Responsibility Report (in addition to a GRI Report) covering these topics. How does IBM make the business case for sustainability? Supply shortages and rising raw material prices are forcing companies to reappraise and adopt a more environmentally-savvy approach to doing business. A recent study suggested that if emerging markets continue to grow at their current rate, then the world would need the resources of five planets. It is clear that change is needed. Being associated with socially or environmentally irresponsible suppliers creates business risks to both the brand and the bottom line. Does IBM have any particular emission targets for 2010 or for the long term? How much of it has been achieved so far? - Energy Conservation Goal: Achieve annual energy conservation savings equal to 3.5% of IBM’s total energy use. - CO2 Emissions Reduction Goal: Between 1990 and 2005, IBM’s energy conservation actions reduced or avoided CO emissions by an amount equal to 40% of its 1990 emissions. To further extend this achievement, IBM set itself an aggressive “2nd generation” goal: to reduce the CO2 emissions associated with IBM’s energy use 12% between 2005 and 2012 through energy conservation and the procurement of renewable energy. Result: As of year-end 2009, IBM's energy conservation results and procurement of renewable energy resulted in a 5.7% reduction in IBM’s energy-related CO2 emissions from the 2005 base year of this goal. - PFC Emissions Reduction Goal: To reduce PFC emissions from semiconductor manufacturing 25% by 2010 against a base year of 1995. Result: As of year-end 2009, IBM’s emissions were 48.8% below the 1995 baseline amount of 381,000 metric tons of CO2 equivalent. IBM has taken several steps for Green Procurement, how does it make the business case for the same? Also how does IBM build sustainability in its supply chain? We believe that Procurement no longer has a choice when it comes to focusing on sustainability - it's now a business imperative. We must be effective in executing our responsibilities, and continue to enhance our programs and performance in these areas to ensure IBM’s ongoing leadership as a premier provider of goods and services that meet high standards. Environmental and economic factors were driving sustainability to the top of procurement's agenda, and that the various stimulus packages announced by governments across the world would merely accelerate the adoption of more sustainable procurement practices. Our goal is to work with our suppliers to foster full compliance as they, in turn, apply these to their extended sources of supply engaged in the production of goods and services for IBM. We will consider these principles and adherence to them in our selection process and will seek ongoing compliance by actively monitoring performance. One of IBM's key objectives is to help suppliers effectively manage their environmental and corporate responsibility in a way that is long-term, sustainable and integral to their routine business operations. IBM believes that by holding each supplier accountable for improving their individual performance and results, the entire supply chain will benefit, as will the world. Clearly there are financial benefits for procurement organizations around the world to choose suppliers that effectively manage their corporate and environmental responsibilities. For IBM, this helps contribute to our business success and that of our suppliers. Moreover, it's the right thing to do. Publicly disclose results associated with these voluntary environmental goals and other environmental aspects of their management systems. Is green Procurement being practiced by IBM globally elsewhere only or in India as well? Does IBM have a Supplier Code of Conduct? IBM's environmental and supply chain management systems are global and its environmental requirements for its suppliers are thus global, including India. Yes, IBM has its own Supplier Conduct Principles and also recognizes the Electronics Industry Citizenship Coalition (EICC) Code of Conduct as equivalent to IBM's own code and accepts both. We further require our first-tier suppliers to cascade these same requirements to their suppliers, and so on. IBM's own experience has shown that reducing energy use and improving environmental performance benefit both the planet and the company's bottom line. Lastly, IBM supports transparency and disclosure, and has been publicly disclosing relevant information about its environmental performance for two decades via the publication of its Annual Environmental Report. We expect these new requirements will help our suppliers achieve benefits similar to those we have experienced at IBM. How do you measure the success of such supply chain initiatives? IBM employs its Supply Chain Social Responsibility (SCSR) to effect audits of suppliers in growth market countries. Suppliers in mature markets (70% of the supply chain) have contractual attachments stipulating compliance. Approved third-party audit firms are contracted for these assessments. Validated audit results provided to IBM and the suppliers. Supplier Improvement Plans (SIPs) are required, when warranted, and reviewed/accepted by SCSR team. Refer to measurement summaries in IBM's annual Corporate Responsibility Reports at: http://www.ibm.com/ibm/environment/annual/, topic "Supply Chain". Are there any specific criteria being used for vendor selection? IBM's Procurement has the responsibility to achieve best overall value for IBM when acquiring or contracting for goods, services, and intellectual property assets. Procurement is, therefore, responsible for both 1) selecting the best supplier, and 2) assuring IBM is getting Fair Value for the price. Varying in weight by supplier, we utilize criteria that include, but not necessarily limited to, quality, cost, delivery and/or sustainability (i.e., social and environmental responsibility). Risk Assessment tools are indeed used in your supply chain processes, as a 'best practice' at a minimum. Depending on the nature of the risk in question, appropriate parties would utilize applicable risk assessment tools/applications and methodologies. IBM has reviewed and piloted LCA methodologies internally and participated in a number of external LCA studies conducted on electronic products and materials. 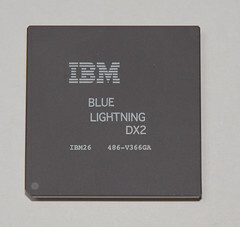 However, IBM has concluded that LCA is not suitable as a general use tool for designing electronic products. Do you have any case studies to showcase where you have helped in increased sustainability (within firm or clients or supply chain)? Sure. IBM works closely with its suppliers to design and utilize environmentally preferable packaging for the parts and products they ship to IBM. 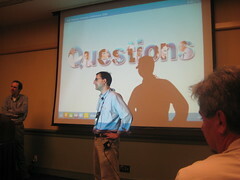 In 2009, the IBM packaging team implemented 22 packaging design projects with its suppliers. The resulting packaging solutions reduced the packaging materials from incoming parts by 175 metric tons and saved $1.4 million in both material and transportation costs. When suppliers apply the design improvements achieved through collaboration with IBM to packaging designs for other customers, the environmental benefits and cost savings can be far-reaching.IBM has focused on the environmental attributes of its protective product packaging since the late 1980s. Under this program, IBM packaging engineers design solutions that minimize packaging while providing necessary product protection, specify non-toxic materials and inks, and collaborate with suppliers to use recycled content and recyclable materials and promote reuse. Another recent success was in China, where IBM helped one of its suppliers, a shipping company; redesign its own supply chain to reduce its carbon footprint by 15 percent. Under the “Corporate Sustainability Series”, experts from leading Indian corporates would be interviewed about their sustainability targets and achievements and also their perspective and initiatives on supply chain sustainability. This interview was conducted by Roselin Dey, Editorial Team, India Carbon Outlook.